Classical micro-mobility solutions focus on accelerating local handovers and on minimizing signalling traffic. However, the micro-mobility components also slow down the service times in the user traffic domain. This is a critical drawback in terms of the hard delay requirements of future IP-based radio access networks. Network operators need algorithms to determine the optimal number and placement of anchor points within his network to balance both handover latency and user traffic delay. 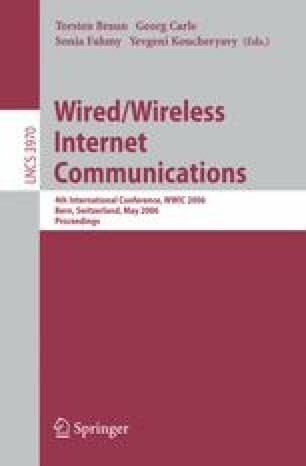 This paper presents a very fast and exact mathematical method for selecting the optimal number and placement of nodes supporting micro-mobility functionality for telecommunication networks. The method is in particular applicable for large networks, which is demonstrated by means of an optimization of a real wireless access network with more than 150 nodes. In order to ensure the applicability in real network scenarios we additionally provide a solution to estimate the stability of the optimal configuration. The presented method allows the autonomous and optimal configuration of the network’s micro-mobility functionality as described in concepts of zero-touch networks. Due to the optimization network operators can reduce the administration cost and maximize the quality of service as well.